The ARRL's 600 Meter Experiment Coordinator, Fritz Raab (W1FR) recently released a statement urging that the program be renewed. According to Raab, all of the WD2XSH licences will expire in August. Citing a quarterly report prepared by John Langbridge (KB5NJD) and Warren Ziegler (K2ORS), two very active participants in the program, Raab says that the program has demonstrated that the Amateur Radio community is interested in MF operation. As described in the ARRL News, "The FCC has yet to act on the ARRL’s 2012 Petition for Rulemaking asking it to create a domestic Amateur Radio allocation at 472-479 kHz, known variously as 600 meters and 630 meters. Delegates to the 2012 World Radiocommunication Conference (WRC-12), approved a 7-kilohertz-wide secondary Amateur Radio allocation at 472-479 kHz, with a power limit of 5 W EIRP (or 1 W EIRP, depending on location). Radio amateurs in Canada and in several other countries already have allocations there. Canadian 630 meter operators held a cross-band event on February 14, listening on 160 and 80 meters for US stations." As amateurs here in Canada have discovered, the U.S. experimenters have demonstrated reliable regional ground-wave communications is readily achievable in this part of the spectrum, making reliance on ionospheric conditions a none-issue. The report also addressed the question of interference, a possible long-standing reason cited in reasons for not giving LF bands to amateurs. Raab goes on to suggest that the ARRL "should have a continued presence in our quest for a 630 meter amateur band” and recommended renewing the license. MF operators in Canada are also anxiously awaiting the appearance of their southern-neighbours, which would likely result in a large spike in new Canadian activity. The experimental program has done the heavy lifting and demonstrated that amateurs can operate in this part of the spectrum, at moderate to high power levels, without causing interference. Remember that even though the 5W EIRP limit seems low, due to antenna inefficiencies at this frequencies, transmitters typical are required to generate several hundreds of watts to reach the 5W EIRP limitations. With all of the above in mind, it seems that indeed the next steps to making these two bands available to U.S. amateurs has drawn one-step closer to reality. On April 26th, two weeks after Raab's somewhat downcast report, the FCC announced the NPRM (Notice of Proposed Rulememaking) which included the proposals for both 2200m and 630m. NPRM's provided stakeholders the opportunity to file comments as well as provide the filer (FCC in this case) a final opportunity to gather information which will help them form future policy ... in this case, what the rules for the new bands might look like, should they proceed with implementation. With a positive DST index and a geomagnetically-quiet weekend, propagation on LF turned out to be above normal and much better than expected. Nightly sessions improved from Friday through Sunday, with Sunday night's session having the best overall propagation. Although nothing "new" was heard, it was nice to hear some stations that I haven't logged for some time. As usual, the equipment used was the Perseus SDR along with my 10' x 20' loop and Wellbrook preamp. It seems that the ARRL has made it official ... well, maybe not, but at least Ed Hare, W1RFI has. In a recent interview on the HamRadioNow webcast, Hare said that he believed that switching-mode power supplies are a more common source of QRN than noisy power lines ... and I believe him. I have heard countless horror stories of amateurs having to go QRT for good (at least on HF) because of issues with neighbourhood switching supplies. It's one thing to be able to hunt these things down and remediate the problem within your own home but when it comes to the whole neighbourhood, it's an awfully large challenge. And it's not as if there's just the odd one around, here and there ... they are everywhere. 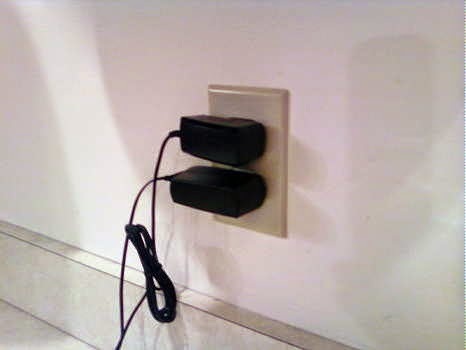 I've never personally had a problem with a wall wart, other than a cheap charger for my I-Pad, but that's not to say I haven't run into switchers. The charger emitted a low-level hash that I could hear only on a very quiet 6m band, not much of a real problem considering that I could unplug it at any time. A couple of problems here in the neighbourhood were eventually traced to the poorly designed or faulty switchers inside some CFL bulbs. These were emitting signals via the powerlines and being picked up by my antennas almost two blocks away. This was a problem only on LF however, where the powerlines make pretty efficient antennas. Hare went on to say that some of the new LED-type lightbulbs have proven to be noisy as well. Not hard to understand when each one has its own low voltage switching power supply. What is hard to understand is why these device are even allowed on the market without having to undergo some type of noise-testing for approval. Another 'growing' threat are the lights used by neighbourhood grow-ops, legal or otherwise. Hare also indicated that the ARRL lab can work with manufacturers to correct problems but that they need to know specific model numbers and information about the problems you are experiencing with the device. Apparently, according to Hare, many issues can be resolved without involving enforcement from the FCC, the last step, should issues not be resolved by other methods. You may be able to help by sending the needed information to the ARRL Laboratory for this and other types of RFI. Both Ed Hare and ARRL EMC Specialist Mike Gruber, should be contacted if you can supply information or have an unresolved problem. The excellent 11-minute interview (Episode 196 'W1RFI's Tall Tales from the ARRL Lab') can be watched here, with thanks to HamRadioNow TV and to Gary Pearce, KN4AQ of HamRadioNow. Ever since receiving my first QSL in the mail, as an 11 year-old SWL in Cycle 19, I've always loved getting new cards. Strange as it sounds, I can still recall the fresh ink smell and the brown manila envelope that arrived from "Switzerland Calling". In those days the world was a much larger place and Switzerland may as well have been on the moon. It was a world away ... and the envelope was addressed just to me! 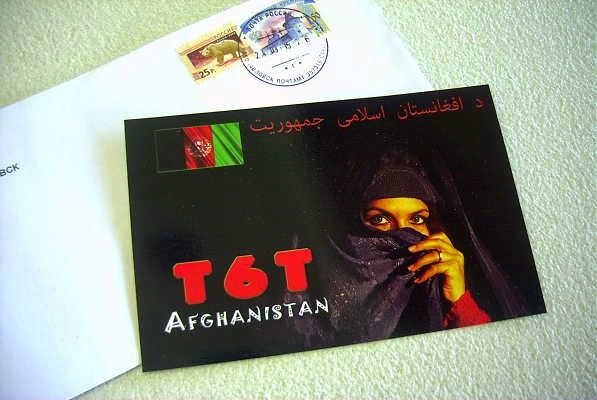 I had a similar thrill this week, when my rural mailbox revealed a much-needed card from Afghanistan. It was from Shuravi, T6T, worked a few weeks ago on 20m ... surprising, as he was using just a low wire dipole supported with bamboo poles. 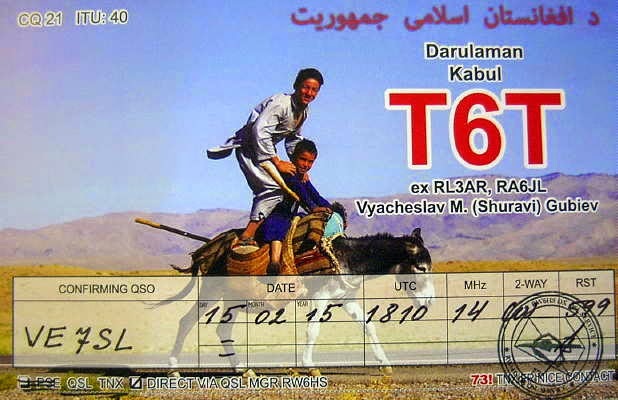 The card confirmed DXCC country #335 for me with most of them, like T6T, being on CW. I keep a separate country count, and albums, for my two favorite bands ...160m and 6m, where it seems that new ones come either very slowly or in bunches. As of today, my 160m total stands at 154 worked and confirmed while my total on the magic band stands at 86 worked and 85 confirmed ... proof of the Pacific Northwest's 6m black hole phenomenon. Sadly I neglected to quickly post a card to 4U1UN for a Saturday morning F2 QSO during Cycle 21. Later attempts proved futile as the logs were subsequently destroyed in a small fire. I've stayed away from e-QSLing as the look and the feel of a written paper card, was one of the first things that attracted me to the hobby and it seems, to me anyway, an important ham radio tradition to keep alive as long as possible. After all these years, I'm still hooked on QSLs. It's CLE time once again! For you low-frequency buffs, another challenge awaits. This months frequency range covers the high end, 400-419.9 kHz. 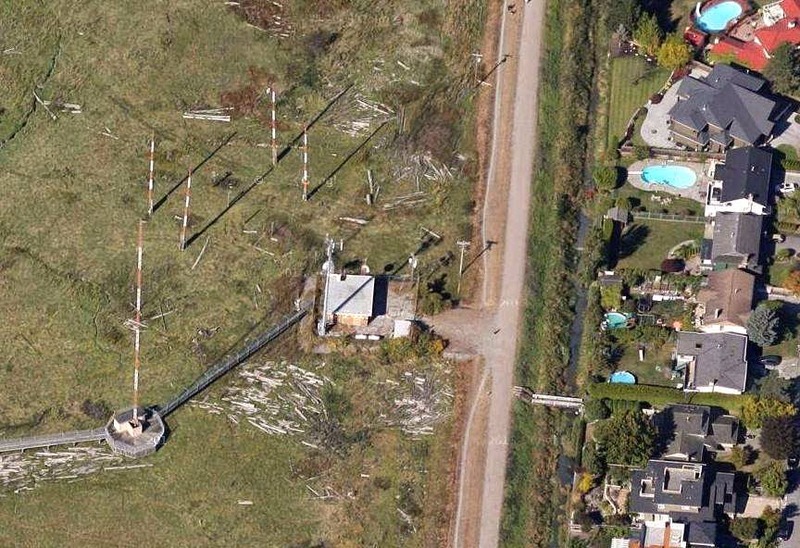 Perhaps you can log little 13-watt SN (St. Catherines, Ontario) on 408kHz, last logged here in February 2014. Conditions have been up and down so lets keep our fingers crossed for some good propagation. CLE last month, this is a gentle return for us to normal NDB listening. Do join in even if you only have an hour or so to spare over the weekend. on Wednesday 29 April at the very latest. The combined results should be completed on that day. 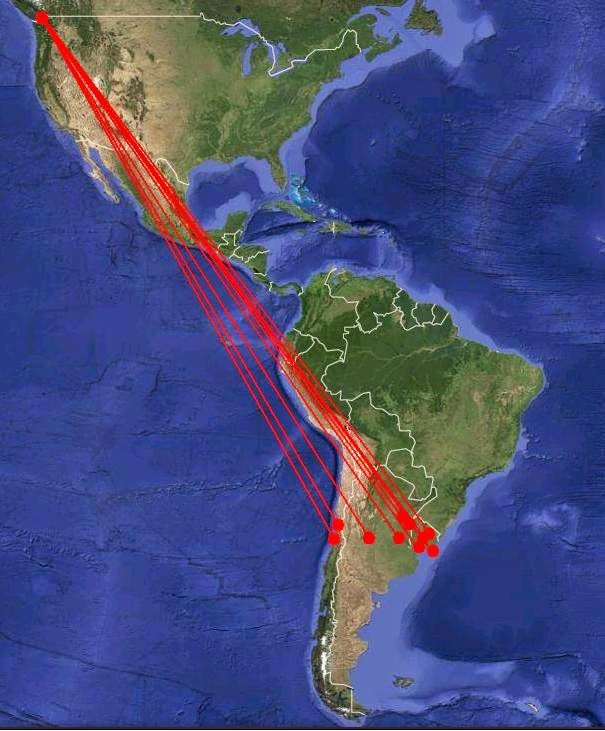 For the third day in a row, someone has sprinkled 6m magic-dust over the Pacific Northwest with more long-haul propagation into southern South America. The openings have been characterized by their very small footprints and today, unlike the previous two days, the footprint locked-in on my own QTH for over an hour. For the most part, signals were in the 559 range but at times would build up to true 599 levels, reminiscent of the previous cycle's F2 north-south openings in the afternoon. During the entire opening, strong sporadic -e signals from California, Arizona and Nevada were present so I suspect that the propagation mode was Es to TEP and from there to southern SA who knows! I doubt there was any F2 involved (unless it was ver SA) as the solar flux just doesn't seem to be high enough to support that mode. In all likelihood, the present coronal hole stream that is impacting the ionosphere has been the trigger for these unheralded openings. CX90IARU, LW6DG, LU6QI, CE2AWW, CX3AL, LU5FF, CX1DDO, LU4FPZ, CX6DRA and CE3SX. As mentioned in my last blog ... who knows what this cycle will do next as the surprises just keep coming! Is there enough dust left for a fourth day in a row? If you've wondered why the bands have been so volatile of late, it's because Cycle 24 just won't go away quietly. 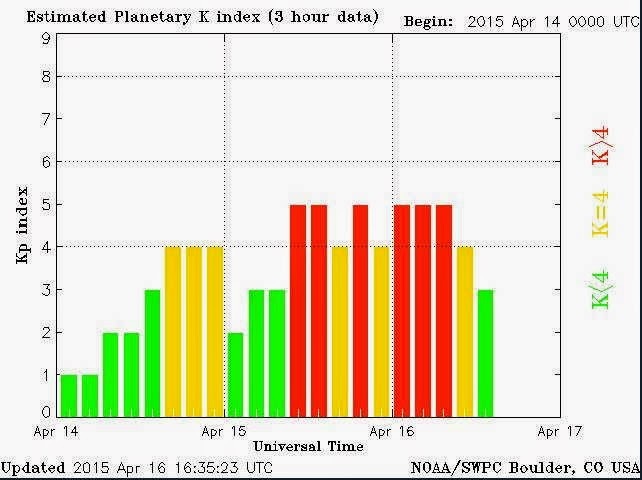 It seems that for the past several months, our planet has been besieged by one solar bombardment after another. Most of it seems to be coming via Coronal Hole Streams. 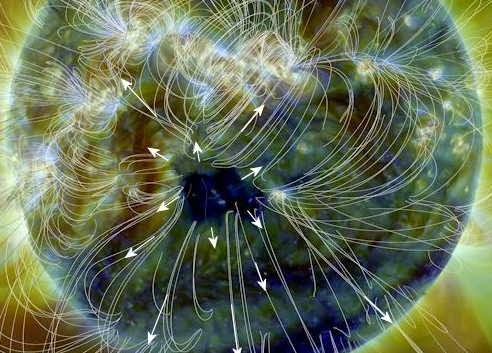 This UV image from NASA's Solar Dynamics Observatory satellite clearly shows the large coronal hole presently facing earth. The arrowed vectors represent material spewing from the hole, with much of it earth-bound. 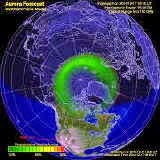 The material from this hole is expected to arrive between April 21-22, possibly causing more auroral activity. 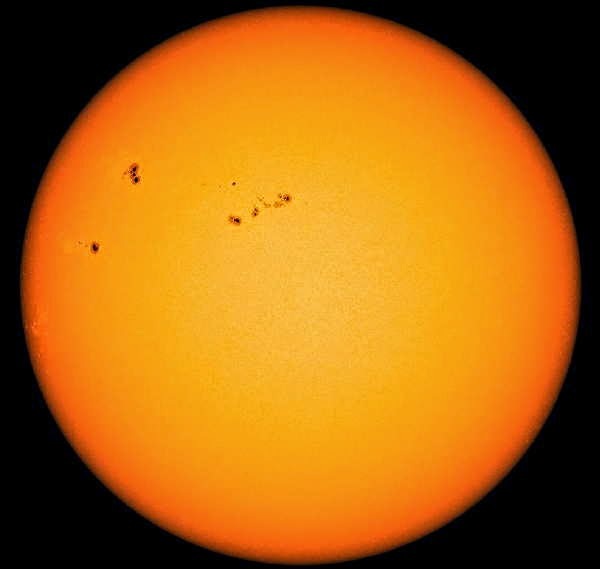 Our Sun's latest rotation is showing several new large sunspot groupings, all very capable of unleashing a new round of solar flares and associated disruption ... if nothing else, Cycle 24 is persistent! 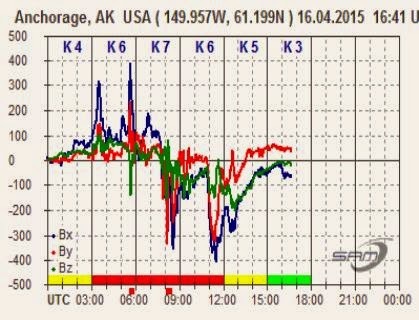 Peeks at the geomagnetic activity for April 16th illustrate just how active things have been of late ... making the high HF bands sound like the middle of the night as well as making LF and MW propagation depressing. 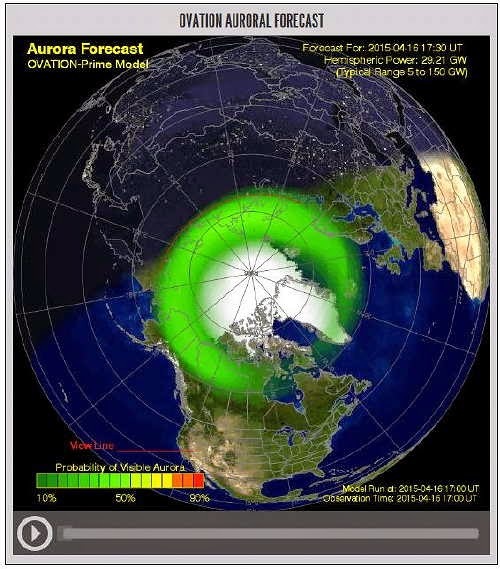 An auroral event on Thursday evening gave 6m conditions a bit of a kick in the backside on Friday afternoon with signals from southern South America making it into various regions of the U.S. including the PNW, usually left out of such affairs. At one point, CE2AWW was hearing / working both the west coast (W7's) and the east coast (VO1's). Sporadic-e was definitely involved on the west coast end as the band was open to California / Nevada for most of the day. No one can be certain of what lies ahead for Cycle 24 but it's certainly not going away with a whimper! It's been many years since I've cruised through the SW broadcast bands but of late I've had a yen to tune through some of the low band frequencies ... 5-6MHz. In searching some of the helpful online frequency references, the Short- wave info site in particular, I was reminded of Canada's tiny voice still whispering away on shortwave, even after the demise of Radio Canada's shortwave presence in 2012. Apparently there is still activity coming from CKZU (6160KHz), CKZN (also on 6160KHz), CFVP (6030KHz) and CFRX (6070KHz). These are all low-powered (100-1000W) relays of local AM station content and make for interesting DX targets for listeners. The nearest to me, CKZU, is directly across Georgia Straight and line-of-sight from me. It relays the local AM-band powerhouse, CBU-690. Needless to say its signal is very strong. 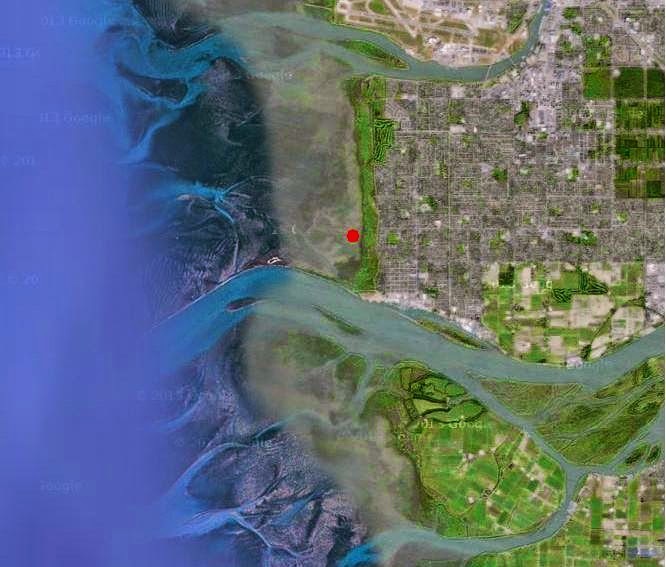 With its antenna system located on the mudflats of Richmond (Steveston), near Vancouver, it should get out pretty well despite its 500W power limit. The antenna system, I am told, consists of a four pole (wood) support for a two-element wire beam of sorts ... one element being the dipole driven-element and the other a reflector. From the looks of the orientation I would say that it is beaming south-east towards the central USA. Are you able to here CKZU on 6160 from your location? Its overwhelming strength here blocks any chance for me to hear its east-coast cousin, CKZN in St. John's, Newfoundland, rebroadcasting local CBN. If you are in the eastern half of the continent, perhaps you are able to here CKZN's 300W signal? 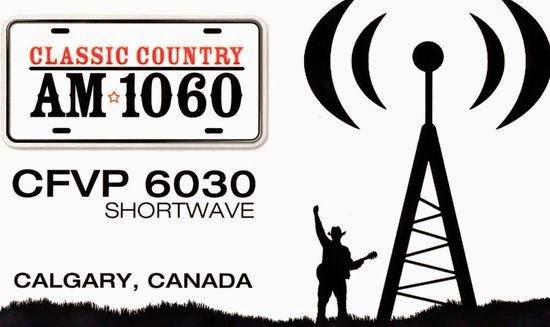 CFVP is in Calgary and relays local CKMX on 6030 at just 100W. I can hear a carrier there in the daytime but long before my local sunset the frequency becomes dominated by Radio Marti (in Spanish) from Florida ... perhaps you can do better from your location. 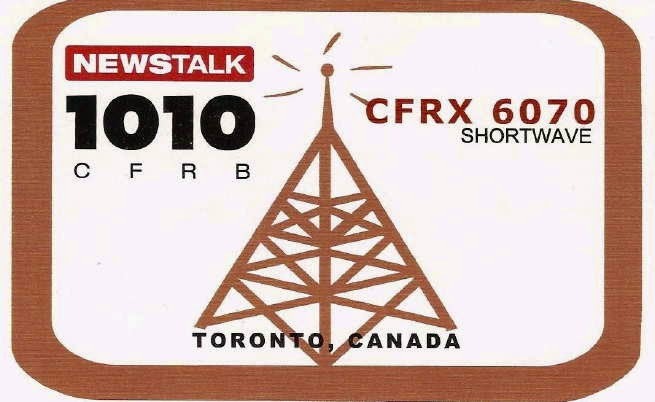 Lastly is CFRX, relaying CFRB from the city of Toronto, on 6070. This gets out well and is heard here even before local sunset at 1000W. It appears that most of these stations have, at one time or another, been slated for decommissioning, and have only been saved by the dedication of station engineers who basically maintain these on their own time, with station owners paying the rent and electricity bills. Please let me know if you are able to hear any of the 'lonely' Canadians on 49 meters. The ARRL is presently seeking membership input on proposed band plan adjustments for many of our HF bands. According to their recent announcement, these changes are due to "concerns pertaining to the increasing popularity of data modes, and ... to use spectrum so that these data modes may compatibly coexist with each other." As is often the case, it appears that CW will suffer once again. Of particular interest is the widening of the 40m band plan for digital modes at the expense of the ever-shrinking CW segments. Those of you that have been haunting 40m CW for some time will well-remember that 7040kHz was once the watering-hole for most QRP and ragchew CW activity. Several years ago, this section of the band became flooded with RTTY and other data modes that made a pleasant CW QSO much harder to come by. CW ragchewers and newcomers then found solace in the region above 7100, near the old Novice band. Over time, the RTTY and digital-moders have gradually moved into this region as well and now the ARRL wants to make it official. A look at the 40m plan (above) is somewhat misleading as everyone that operates on 40m CW knows that the 7025-7080 'CW' segment is already dominated by digital activity ... most of us know what it is like to have a bone-crushing digital station suddenly open up on top of the frequency with seemingly no regard for the CW stations already there. It would appear that there will now be not much room for the casual CW operator to call home ... no watering hole frequency around which to congregate as in the past. Many might say that this is all for the better and that CW has passed its 'best-before' date while others would see it as another nail in CW's coffin. The proposed changes have spawned numerous discussions on various e-mail reflectors. One of the more interesting comments on the plan was posted by 'wireless-girl' (Janis, AB2RA) and may be read here. Changes for several HF bands are proposed so if 40m is not one of your main interests, maybe your favorite band will be adversely affected as well. Whatever your opinion is, the ARRL would like membership input and have published an online-form for you to fill in and make your wishes known. The comment deadline is April 19, 2015 after which the HF Band Planning Committee will prepare its final report. If you are an ARRL member, please take a couple of minutes to fill-out their questionnaire. Mike, VE7SKA, AM/FM DXer from Saltspring Island, a nearby island here in the oceans of south-west BC, has sent me a description of his latest doings. 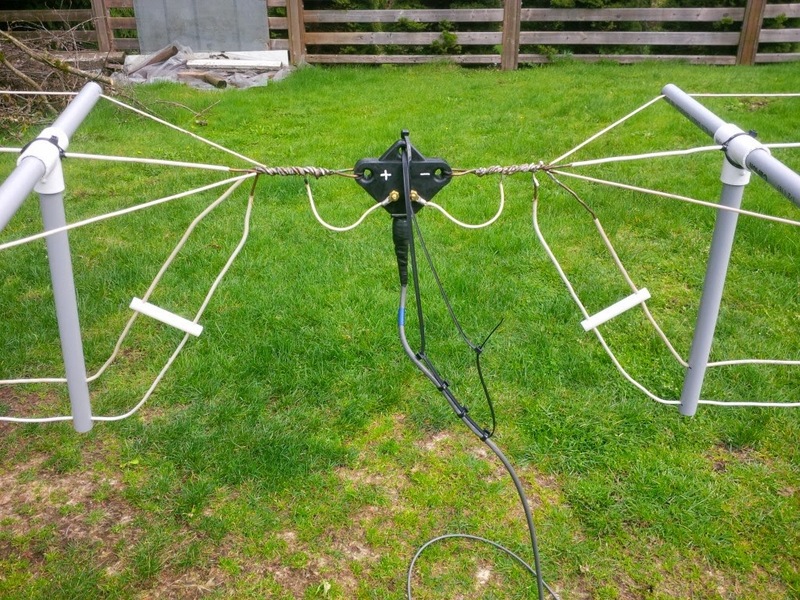 Mike took advantage of the recent warm sunny weather to do some antenna work. Mike calls his new antenna the SDSS (Super Drooper Sleuther Sloper)! 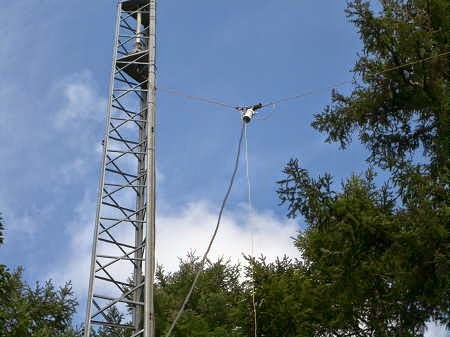 It is 110' long, made of #18 wire and hangs from near the top of his 48' tower, drooping to a low sturdy Fir branch, about 10' high. 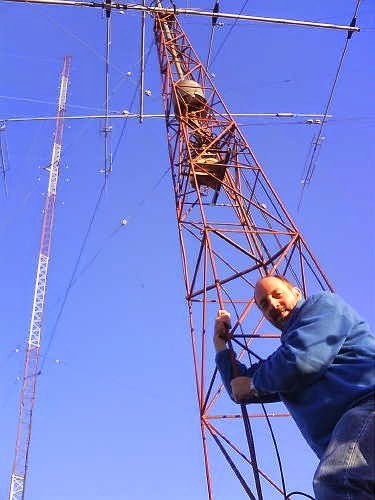 Using a section of Belden 9913 that was already on the tower (it used to feed his 6m array), Mike feeds the 'drooper' via a 9:1 balun / matching transformer... with the antenna feeding one leg of the transformer and the other side going to a section of #18 wire dropping straight down and terminated in a small ground system at the base of the tower. The antenna runs ESE at 112 degrees by WNW at 292 degrees ... the bread and butter direction from SW Canada. For phasing and comparison, Mike uses a much lower wire, 30' long x 7' above ground level, running SE at 140 degrees by 320 degrees NW. Mike reports: "An immediate test done after launch at 3pm logged a new 10 watt TIS on 1630kHz from just north of Marysville, WA on I-5 freeway. Little daytimer KBRD 680 Lacey, WA with 250 watts wasn't even audible on the Quantum QX Pro v3 amplified loop ... recent MW condx have been favorable ... a sunset tentative of 1460 KLTC N.Dakota (5kW); logging rarity 930 KTKN AK (1kW) on a very busy frequency ... new logging 1580 KKTS WY at 220 watts, phasing out pests KGAL and KMIK." Mike goes on to say that phasing the new antenna against its smaller and lower little cousin allowed him to log several of the stations noted above, although the lower antenna picks up more noise. 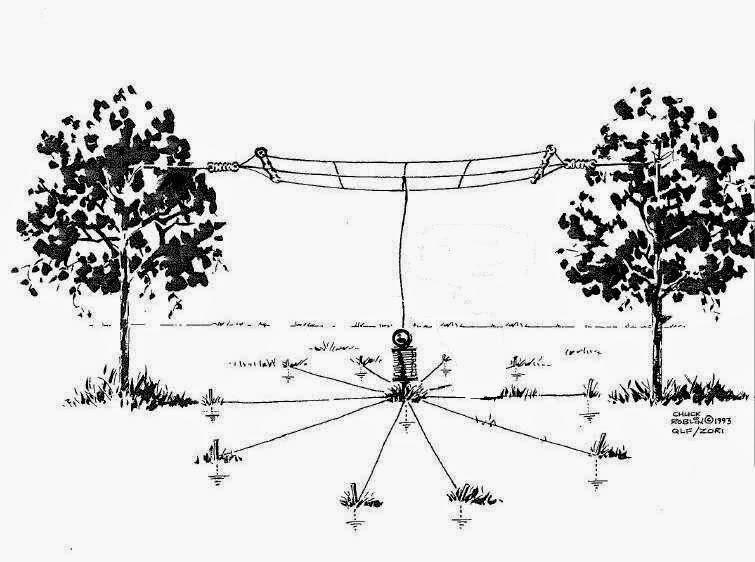 This is really the key to any antenna system and one of the reasons we were always taught to get antennas as high as possible ... to get away from those nasty noise sources in or near the house. With several antennas to play with now, Mike is looking forward to some interesting work on both the BCB, the beacon band and the lower SW bands but plans to get the antenna up much higher in some of his tall Firs before too long. As well, a high Low Noise Vertical is also on the 'to build' list. So far the SDSS is proving the old myth wrong ... that antennas put up in anything less than the foulest of weather just don't work. Sharp-eyed Roger, G3XBM, has brought attention to the recent news of a new amateur allocation granted to South Africa's amateur radio community! It's just a small slice of a band but in an exceptionally interesting part of the spectrum ... 40MHz! Amateurs have been given 'propagation studies' permission to transmit between 40.675MHz and 40.685MHz as 'primary users' and use up to 26dBW (400Watts) of power ... a healthy assignment. I'm not sure where the push for this new band has risen from but no doubt from within the amateur radio community of South Africa ... and kudos to the SA radio authority for establishing this unique amateur band. 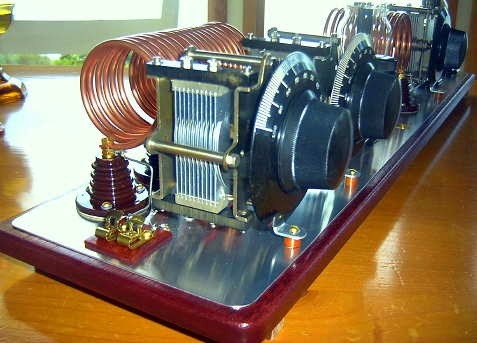 Myself and others, have often stated that an amateur allocation in the 40MHz region would be a wonderful part of the spectrum in which to experiment. 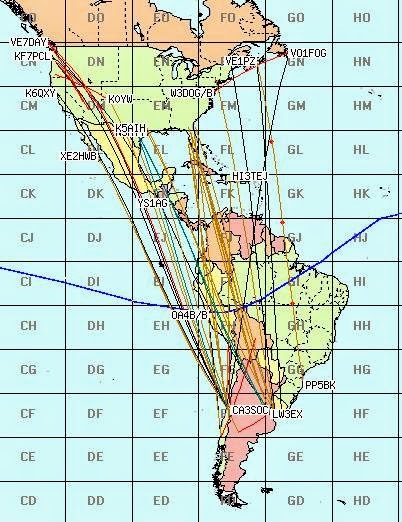 Almost midway between the two "magic bands" (10m and 6m), the propagation opportunities of 40MHz would be most unique and abundant. With Solar Cycle 24 being such a weak cycle, most of North America and particularly the western half, saw almost no F2 openings of any significance. Absent were the all-day long bone-crushing signals from the east coast, followed by the spotlight propagation-sweep down to South and Central America and finally over to Japan for another few hours of ear-shattering JA signals ... none of this for Cycle 24. Yet, in spite of the lower MUF's, I noted dozens and dozens of days when the F2 MUF would shoot up to the high 43MHz region and hang in for hours and hours ... just as it did on 6m in previous cycles. Having even a small slice of spectrum at 40MHz would give amateurs a golden opportunity to follow some exceptionally interesting propagation trends during the next few cycles ... all predicted to be stinkers, some saying even worse than '24'. With 40MHz supporting the F2, Es, TEP and Auroral modes, there would be much exciting propagation to support activity in this region. Maybe it's time North American amateur's start talking about a new slice of the 40MHz pie ... surely there is enough space to share. Well ... my new 1930's style MOPA transmitter is finally finished after several months of construction. I have also put together a page on my website describing the project. For many years, December's high winds here on the coast, have always arrived coincidentally with the start of the annual 1929 QSO Party, making my signal dance around even more than usual! With the new MOPA, I'll no longer have to worry about high winds upsetting signal stabilty ... although many of us do enjoy hearing these musical sounds of '29! By the way, there's still plenty of time for you also, to put something together for this annual fun event. You can see a whole page-full of inspiring '29 homebrew magic here (scroll to the bottom half) ... and there is plenty of help available for your project in the AWA Yahoo Builders Group ... we are always looking for more new activity, particularly here out west. 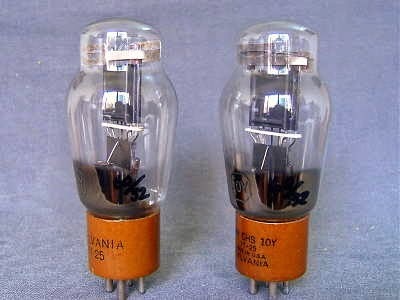 The new MOPA uses two type '10 tubes (like many, I use the war-time type '10 equivalent, the more affordable VT-25), one as a Hartley oscillator and the other as a Class-C final amplifier. I'm looking forward to working many of you in the next '29 QSO Party ... in the meantime, I'm thinking hard about what my next project might be! 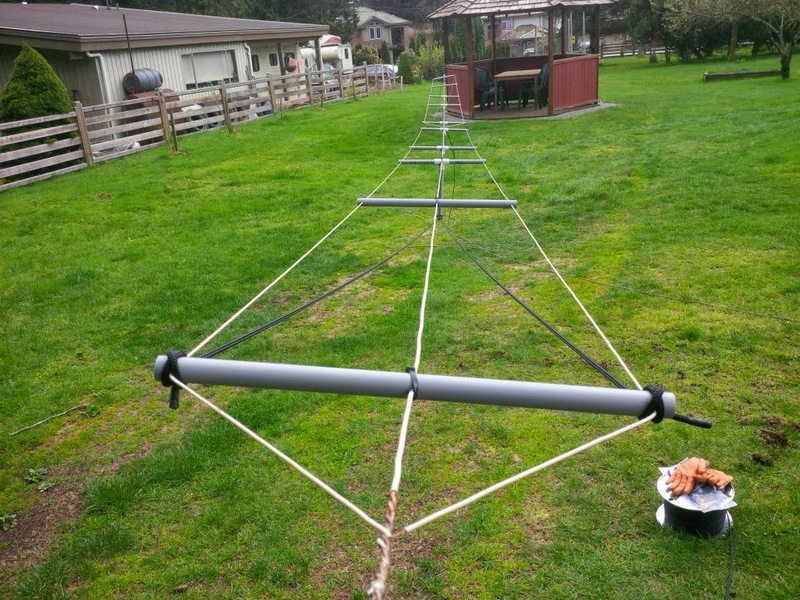 Mark, VA7MM, had come up with a nicely-designed antenna that will serve as his main 630m radiator. Not only that but it can be used on 10m, 15m and 30m and 160m as well! 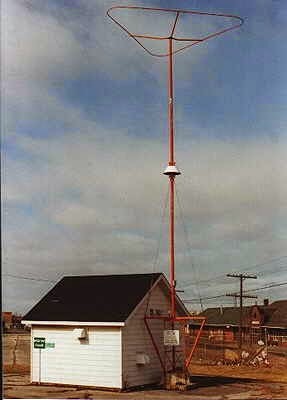 The antenna consists of a mini-flat top dipole, with three resonant dipole legs all terminating at a common feedpoint. This can be used directly on any of the three high bands. 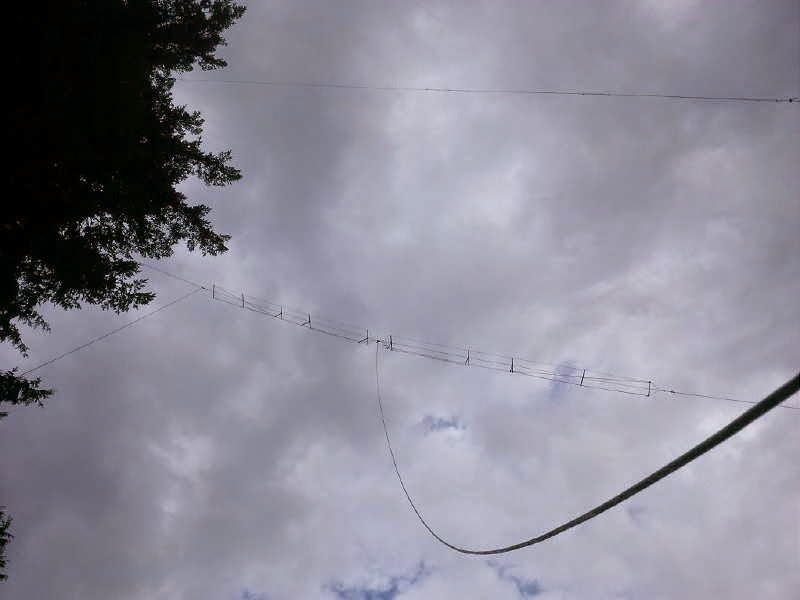 Shorting the end of the coaxial cable, dropping vertically down from the feeedpoint, the dipole feedline becomes the vertical element of a top-loaded 630m 'T' antenna, 100' in the air. 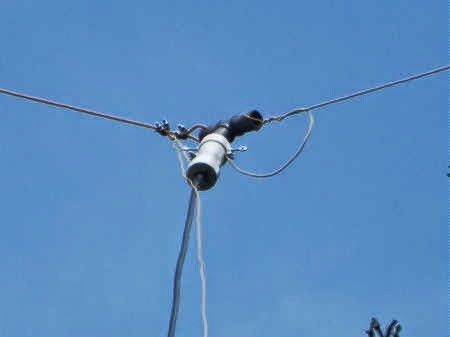 With suitable loading coils and appropriate switching, the 'T' will also be used on 160m, making the versatile antenna work on five different bands ... a nice demonstration of basic antenna principles put into real practice!